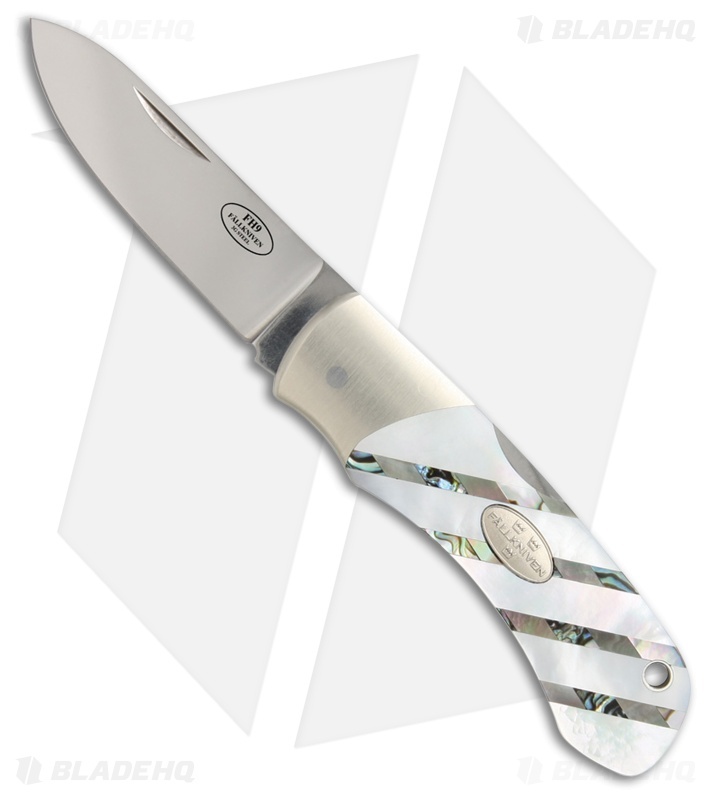 The Fallkniven FH9 folding knife offers a collectible design for everyday carry. 3G laminate powder steel blade in a satin finish. 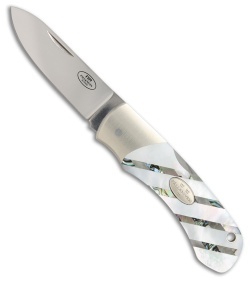 Mother of pearl mosaic handles with brushed stainless bolster and inlay shield. Item includes a lanyard hole and a slip pouch.